To a question on GST by a participant, Gandhi, calling it a "disaster", said the Congress, on coming to power, will work to give "one GST", which is simple and lowest tax possible. 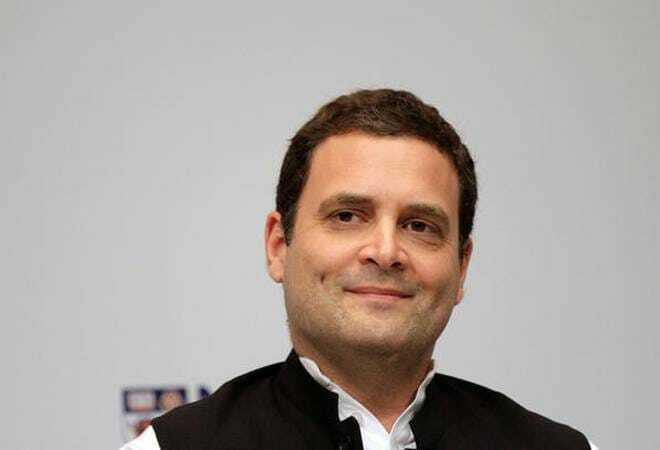 Congress President Rahul Gandhi Monday said that angel tax goes counter to the philosophy of startups and his party would get rid of it on coming to power. "I have been informed about the angel tax and angel tax goes counter to the philosophy of startups...we are going to get rid of this tax. When we come to power, we will scrap it...you can call me on that one," Gandhi said. The Congress chief was speaking to a gathering of entrepreneurs at a technology park here. Stating that the Congress had come up with the idea of the Goods and Services Tax with an aim to simplify things, he said the current government launched it in a hurry. "Frankly it is a disaster. The definition of GST is one tax, so even though this government calls it a GST, it is not. It is five different layers of taxes and it is counter productive," he said. "We are pretty clear we are going to get rid of this GST, we are going to reform it and we are going to work to give one GST, which is simple and lowest tax possible," he said. Also noting that the existing GST leaves out huge chunks of the Indian economy, he said some of those things are going to be brought into it. "It is perfectly doable..." he said, adding that GST was a "self inflicted" wound by the current government and ithas had a devastating effect, very much like demonetisation. To a question on the eCommerce policy, Gandhi conceded that he had not gone into the details of the policy, but promised to look into it on coming to power. "I haven't gone into the details of it. I have to go into the details before I comment. I have been given a little bit of a briefing on it. I think there are issues with warehousing in the policy, that I have been told about. I don't know how the policy creates the balance, but I think we would think about in terms of being fair to all the stakeholders," he added.